Ronald Greening, Attorney and Counsellor at Law, is the founder of The Greening Law Firm, P.C. Ron grew up in Houston and after earning a B.S.E.E. from the University of Texas at Austin in 1969, he worked as an electrical engineer for three years. He then earned a JD at the University of South Carolina School of Law and has been in active legal practice since 1975, starting in Washington, D.C. for six years, then working for two years in New York on Wall Street before returning home to central Texas in 1983. He is a member of the Real Estate, Probate & Trust Law Sections of the State Bar of Texas and the Probate and Estate Planning Law Section of the Austin Bar Association. He is a member and past president of the American Association of Trust Estate and Elder Law Attorneys, a member of the Texas and National Association of Elder Law Attorneys and a member of the Estate Planning Council of Central Texas. He is fully licensed by the Texas Supreme Court, Washington, D.C. Court of Appeals and various federal courts. His practice is limited to estate planning, estate administration, probate and Medicaid planning. Ron continues to be active in Westlake Hills Presbyterian Church, WHPC.org, on the Board of Directors and Secretary of the Board of the Georgetown Community Foundation, GACF.org, member of the Rotary Club of Austin, Rotary-Austin.org, the Texas Longhorn Breeders Association, TLBAA.org, on the Advisory Board of the Travis County Retired and Senior Volunteer Program, RSVPAustin.org, and other community and professional organizations. Ron lives on Lake Travis and has a Longhorn steer who lives in his backyard. You can see a likeness of Coffee, the Longhorn, at Ron’s office on Williams Drive next to his Farmer’s Fountain and another likeness in front of his Austin office. 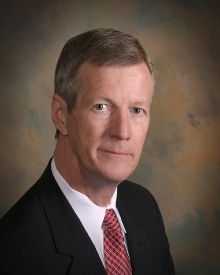 Ron has advocated the education of the public and financial planning professionals to help people make informed decisions relating to their estate planning, including the use of trusts as a proven way to protect families from the expense and delay of guardianship and probate and to minimize federal estate taxes. His motto: Proper Planning Adds Predictability. Mr. Greening is committed to researching and preparing high quality, tax-sensitive estate plans. His mission in law is to help people accomplish their estate planning goals, and to take the mystery out of the estate planning process. His clients have their estate plans explained in straight-forward language that they and their families can understand. Good planning avoids needless court interference, public records, attorney fees and government interference when an estate is settled. Ron teaches workshops for the public as well as accredited continuing education seminars for C.P.A.’s, nursing home administrators, attorneys, C.F.P.’s and other financial advisors. He provides free initial office consultations regarding estate planning.